PinThis is a Pinterest inspired WordPress theme that comes chock full of style and customisation options. 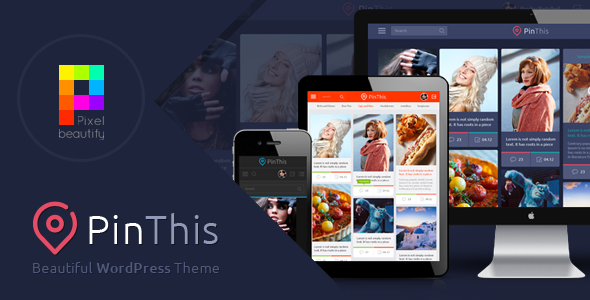 PinThis is a cutting-edge, masonry based, multi-purpose theme. With its clean design it is great for projects that emphasizes a stylistic and modern look. Design Theme is made in a beautiful FLAT style.